Life would be pretty boring without art. Look at this Melbourne lane way, it was pretty glum before the graffiti artists took to it. We're pretty passionate about art at Print Decor and have artists and designers who work here. We also have a strong collaboration with local artists who provide us with their unique view on life and allow us to explore their world. We are constantly on the look out for work from new artists, as well as new works from our already popular local creators. Gill and her publisher David Sears have provided us with some most intriguing works. We are happy to release Gill's latest 2 works from her Magic Realism collection. Femme Fatal: The story of Lucrezia Borgia is right out of the pages of a novel, yet true. Lucrezia was an Italian Nobelwoman, a stunning beauty, notorious for the suspicious deaths and political intrigue that swirled around her and her family. The illegitimate daughter of a pope and his mistress, she was a seductive woman who, it is alleged by her numerous enemies, poisoned those whom she could not manipulate and who attended orgies. Aside from that she was a very, very nice girl which is why Gill Del-Mace decided to do a painting of her! Hand Signed Limited Edition print 250 plus A/P’s (Artist Proofs). Image is 55 x 50 cm and the paper is 72 x 61 cm which includes white border. Print Decor offers 10% discount off framing and 20% discount off our budget custom framing for all Gill's beautiful works, but as a subscriber we offer special discounts. Buy On Line or us a call. This incredible new image form Gill Del-Mace has a depth that allows the viewer to come up with all manner of understanding and interpretation. Hang this one on your wall and watch people discuss its meaning for hours. Image is 50 x 50 cm and the paper is 61 x 67 cm which includes white border. Buy On Line or give us a call. 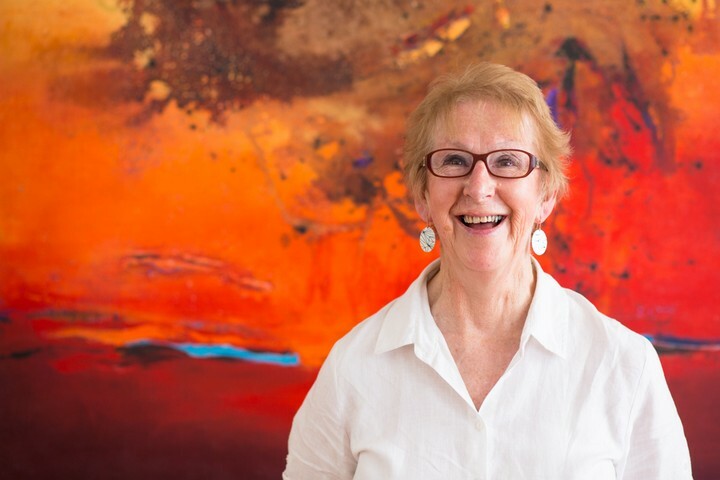 Jan's artistic inspiration comes from the natural environment, as well as her urban surroundings in Fitzroy, particularly street art and graffiti. Her new toolbox consists of photography, Adobe Photoshop, Illustrator and digital printing. All of the images on the Print Decor website (159 images and counting) are available as limited edition prints - signed and numbered, with a choice of printing on paper or stretched canvas to the size you desire. With 170 images on display on our web site and more being uploaded as I type, you can travel on an adventure through the eye of the photographer. Iconic shots of Melbourne and New York now complimented by travels to South Australia, Iceland (to shoot the great norther lights), Hawaii and who knows where he'll turn up next. Nick's prolific selection of artistic photography elicit a feeling of newly discovering a vista that was just waiting for you to stumble upon. We have an extensive display of prints, framed and unframed, from some of Australia's best artists. They are available for sale online on the website, or if you prefer to see them in person, on display at our shop in Malvern. And if would like a private consultation, we are happy to come to your home or business for a private discussion about the art work that would best suit your location (a fee applies in this case).